It is with great sadness we share this most unfortunate news. Veronica Faisant, host of KPFA’s, The Week Starts Here, made her transition on Monday, March 5th. This was unforeseen and sudden and as you would expect the family is devastated. Veronica started at KPFA in the First Voice Apprenticeship program. She also completed the KPFA News Training program and went on to become assistant to the General Manager under Andrew Philips leadership from 2012-2013. At that time she started the program, The Week Starts Here at 8:00 pm on Sunday nights. She described the show as A New Age Talk Show with interviews with New Thought leaders, Metaphysicians, Self Help gurus, and everyday people who have stepped out on Faith and written a new chapter in social evolution. 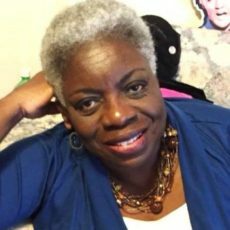 Veronica was dedicated to her show and KPFA, she will be missed. We will post information here about memorial services as soon as they are available. Veronica’s close friends, Reverand Muata Rasuli and his wife Pier Angeli, will continue as fill-in hosts for The Week Starts Here.